Our Practice - HORNER EYE CARE, LTD.
Dr. Katherine M. Horner graduated from Northern Illinois University with a Bachelor of Science in Biology. She received her Doctorate of Optometry from the Illinois College of Optometry and completed an externship in primary care optometry at Hyde Park Osteopathic Hospital. Dr. Horner works in fitting contact lenses of all types, including orthokeratology to reduce nearsightedness. She has worked in conjunction with a contact lens pioneer, Dr. Newton Wesley at the National Eye Research Foundation over a year before opening her own practice in Richmond, Illinois. Dr. Horner has experience fitting both soft and gas permeable contact lenses. 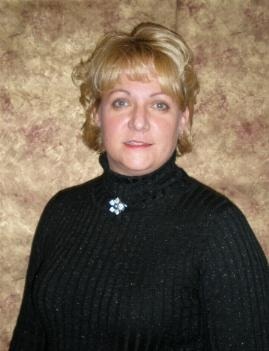 Theresa has assisted Dr. Horner for over 15 years. She has distinguished experience in frame styling and ophthalmic lens options. She is familiar with all aspects of spectacle fabrication and frame adjustments. Theresa also provides instruction to patients who wear contact lenses. Her hobbies include quilting, sewing and gardening.